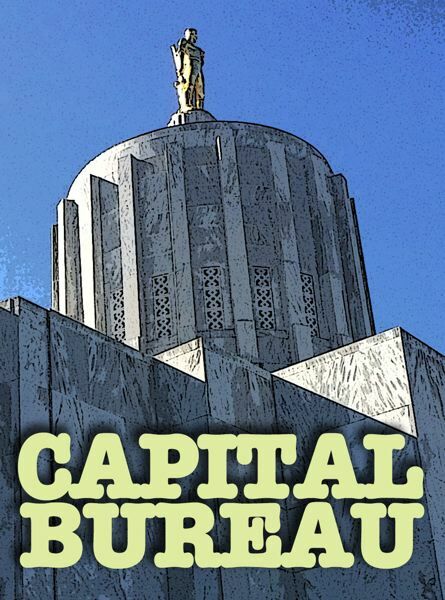 SALEM — Oregon employers and workers could get more help from the state's labor bureau if Labor Commissioner Val Hoyle gets her druthers. Hoyle is on a quest to secure $1.7 million in the next two-year budget to make the agency more responsive to Oregonians, who look to the state Bureau of Labor and Industries to protect their civil rights, help employers comply with wage and hour regulations and certify apprenticeship programs. The bureau's current two-year budget is about $28.7 million and Gov. Kate Brown has proposed a $30.4 million budget for 2019-21. Hoyle, a former legislator and House majority leader who succeeded Brad Avakian in January, makes her case for more money to lawmakers Tuesday afternoon, March 26. Hoyle presents her agency's budget proposal to the transportation and economic development subcommittee of the Joint Committee on Ways and Means at 1 p.m. March 26, in Salem. 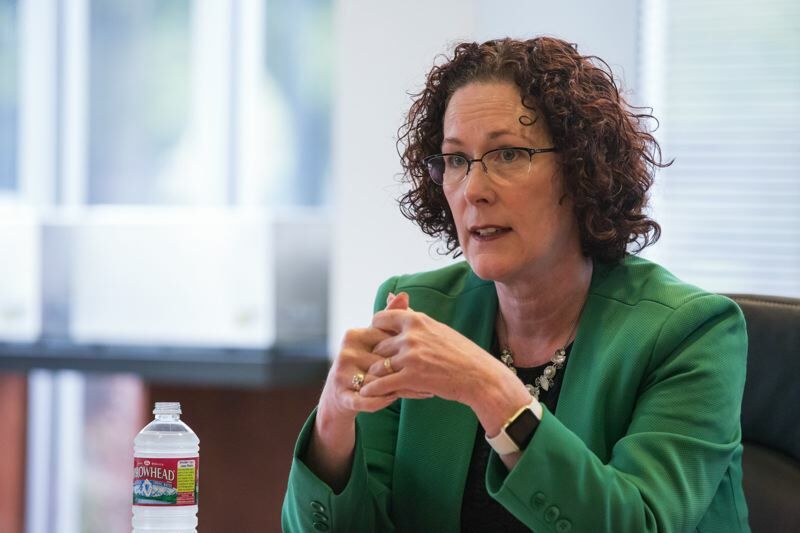 Nearly three months into her post, she has dug into the history and budget of the agency, and says she is laser focused on improving the agency's core services. "My job is to make sure this agency is doing the things it's supposed to do," Hoyle said. And she'll tell anyone else who will listen — she's even handed out her one-page budget flyer to acquaintances at the grocery store. "What we're trying to do is make sure that Oregonians can actually access the services, whether it's their civil rights, wage and hour rules, getting payment back when their wages have been stolen or technical assistance for business, or apprenticeship," Hoyle said. The Labor Bureau was established in 1903 at the height of the industrial revolution to enforce laws intended to protect workers, according to a history of the agency written by University of Oregon history professor Bob Bussel. But since the 1990s, as the state has grown rapidly, the agency has faced cuts. The bureau has 55 fewer employees than it did in 1995, according to the agency's budget presentation. That has created problems for Oregonians who seek help from the labor bureau, Hoyle said. For example, it can take weeks for the bureau to process checks to workers who have been awarded back pay. Under Hoyle's proposal, the agency would add six new jobs. Hoyle wants to step up services for employers, raising its profile to the level of the agency's other divisions: Civil Rights, Wage and Hour, and Apprenticeship and Training. The proposal would also add an intake coordinator and investigator to the Civil Rights Division to help Oregonians report discrimination or harassment and investigate those reports. And Hoyle wants to make the agency's records more accessible to the public by designating one person to coordinate requests. The agency fields more than 1,000 requests for public records annually, and having one person handle those requests could lead to efficiencies elsewhere, Hoyle said. "If we have one public records coordinator, that means that people in each different division don't have to stop doing the work that they do to do a public records request," Hoyle said. She also wants that change to allow people who have filed a civil rights complaint or wage and hour complaint to access records about their own case with no charge, Hoyle said. And she wants to dispense with the agency's outmoded practice of charging for physical records by the pound. Another big change: she wants to overhaul the bureau's website at an estimated cost of $250,000. The current site isn't mobile- or user-friendly, Hoyle says, and key services aren't available — Oregonians can't file a wage claim online, for example. Hoyle wants employers to easily access information about civil rights law and wage and hour laws online as well. And the website is not the only way in which some of the bureau's practices are stuck in the 20th century. The bureau sells handbooks to employers for up to $45 each. Hoyle says that creates a "bureaucratic incentive… not to innovate." Nowadays, people want to be able to look up rights and regulations online, Hoyle says. But the more employer handbooks the agency sells, the more money it has to pay for its work. She's seeking the $1.7 million boost from the state's general fund, but says that the agency would look into whether it can raise other sources of money in the future. "The big thing is figuring out how we can fund this agency appropriately," Hoyle said. "But for right now, selling handbooks or charging people for their (own) public records just doesn't seem like a sustainable model." Hoyle would also use the extra money to station an employee in Eastern Oregon to help businesses with their obligations to workers and to help Oregonians trying to get apprenticeships for jobs. "Instead of sending someone from Portland over there, we'd have someone there working with businesses, working with local people to determine what apprenticeships really would fit in that area to train (the) workforce," Hoyle said. Hoyle says she's focused on improving existing services and the budget. "I think in the past, commissioners have had, not just their budget focus, but also a policy focus. And we really have taken a step back from that," Hoyle said.